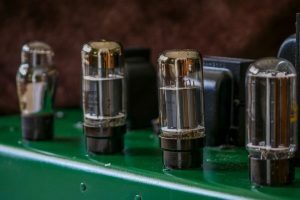 Tube amps are highly sought after for their beautiful sound quality, but because of usual wear and tear, your prized amp should be expected to deteriorate with time. However, if you learn how to properly bias a tube amp, you can help lessen and even prevent this wear and tear from occuring. In a few simple steps, you can get your tube amp working properly to get the sound quality you’re after next time you’re listening to music, and it all can be done in a way that will lengthen your tube amp’s overall life. For decades now, tube amps have been in widespread usage and they have made a huge impact on the music industry. Tube amps that can enhance the sound quality originating from any audio system, and they sound good for music reproduction since they work particularly well with distortion, even at high volumes. Basically, there are many different means of improving sound quality with your vacuum tube amplifier. One of those method is known as biasing. Just like how staying productive will help keep you in good shape, biasing has a similar effect for your tube amp. By controlling the amount of current that’s being distributed to parts of the amp’s circuit, you can condition the electrical components so they function properly. Make It Loud & Lasting! Biasing your amp’s tubes isn’t just some sort of amplification function. Tube bias also affects the tonal qualities of the sound that’s being produced. There are two tube states you need to consider: under-biased and over-biased. 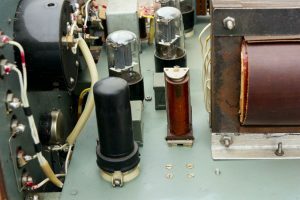 Under-biasing can damage your tube amp and, since the current it applied too low, it can cause a thin sound and a slowly fading audio signal. Over-biasing, on the other hand, can shorten your tube amp’s life through overheating. By employing a higher voltage, over-biasing can also lead to early signal distortion. This can also lead to a louder and more satisfactory quality of sound. The trick to biasing your amplifier is being able to find the sweet spot. Every amp and every set of tubes will have its own sweet spot, but it will take some work to identify it for your own amp. It can also be dangerous since you may be required to work with an active amplifier, so…. Safety is a big factor whenever you’re working with tubes. Now that you know why biasing is necessary to make your tubes sound better and last longer, you might wish to go ahead and start messing around with your amp, but you need to keep some precautions in mind before doing so. When you are tampering with any sort of tube amp, the chassis contain voltages that can cause fatal injury. This isn’t something to play around with. Learn about tube biasing yourself because it’s great knowledge to have, but you should be encouraged to reach out to experts when it comes to toying around with the settings. Your amplifier must be unplugged. In most cases, tube rolling is vital when adjusting the sound or cleaning the tubes. Tubes illuminate, which is a sign that they tend to be very hot! Do not be tempted to touch these tubes. They aren’t plasma balls. Whether or not you think tubes exploding is myth, play it safe. Wear eye protection whenever you’re working with a tube amp. Remove any highly conductive accessories when messing with the tube amp. When grease comes in contact with a tube, rumor says they tend to implode. Where latex gloves or another protective hand covering. Do your research about your amp, your tubes, and what exactly it is you are going to be messing with when adjusting your amp’s bias. Familiarize yourself with the amplifier you own and with its owner’s manual. Follow all warnings and safety precautions set forth by your manufacturer and don’t do anything you aren’t comfortable with. Remember, reaching out to an expert can not only help keep you safe, it can also teach you a lot about your amp and getting it set up to meet your needs. Watching an expert work and asking them questions can also prove very fun and educational, so don’t hesitate to reach out to one if you are unsure of your abilities. Aiken Amps has an awesome resource about electrical safety with tube amps. Don’t jump into action before you have a clear understanding of these parameters. 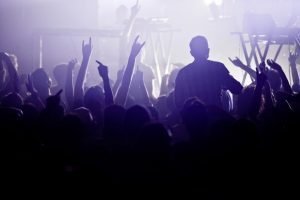 The first thing you need to consider is your amplifier type, and then some other factors come into play, like the: plate voltage and tube type. Dissipation is a word to describe the transformation from one state of current to another state of current. You need to determine the idle current of your amp, which is dependent on the type of tubes you’re using. Your real plate voltage can be determined by directly measuring the output tube’s socket using a voltage meter. Typically, a class-A amp is low-powered while class AB circuits are high-powered and push-pull amps. 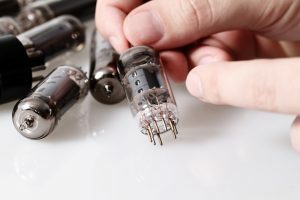 Before you can do anything, however, we need to dig deeper into the type of tubes that your amp utilizes and what exactly you should expect to find when you open up the chassis. There are multiple types of bias adjustments your amp may employ, and having a solid understanding of each will help you determine if you need to match your amp to your tubes, or your tubes to your amp. Adjustable fixed bias is the best way to go about describing this type of biasing. With an adjustable fixed bias, the bias is pre-set to a fixed point. This fixed point is based on the performance of the set of tubes being used in the amp. Typically, a technician will take multiple readings while the amp is idling. This process will enable them to establish the correct amount of current that the tube(s) should be drawing. Then, using an internal adjustment pot, the technician will set the bias using their measurements. This project isn’t extremely difficult, but it can be incredibly dangerous if you don’t know what you’re doing. Usually, you’ll have to take readings while the amp is plugged in and turned on, meaning you’re working with dangerously high voltages. With this method of biasing, it is suggested that you check the bias after replacing your power tubes. The only way you can get away with not doing this is if the replacement tubes are identical to the set you’re replacing, which is generally hard to achieve. Non-adjustable fixed bias cannot be adjusted that easily with this kind of biasing. The bias is pre-set to a fixed point when the amplifier is designed, and it’s made to work well with a wide range of different tubes you may select in the future. This is basically a plug-and-play setup, but your results will vary depending on the set of tubes you select and their operating characteristics. Because of this, you should try to find tubes that are graded or matched based on specific characteristics of your amplifier’s stock tubes. Usually, it is difficult to optimize a non-adjustable fixed bias amp for tubes compared to the other biasing methods available, so it’s important that you instead optimize the tubes for the amp. Consider its operating characteristics. 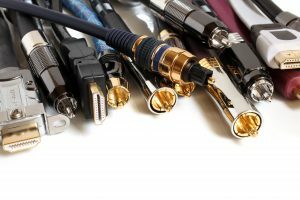 Cathode, or self-adjusting bias, amps require the least amount of work to adjust. In fact, they do not really require adjusting at all. Most people call them “self-biasing” for this reason even though “cathode” is the proper term. . The basic explanation is that, with a series of design characteristics (like a resistor), a cathode amp is able to balance itself against the current draw of your power tubes. 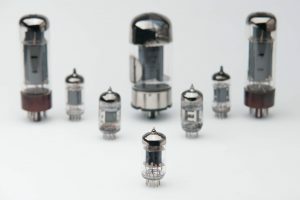 Because of this, if you have a cathode bias amp, you can expect it to function pretty well without you having to adjust anything, even if you select from a wide range of tubes to put in it. This is a plug-and-play amplifier for certain, but you should still try to match your tubes to the amp for optimum performance. Cathode biasing is very common for low-powered amplifiers and it’s very popular in EL84-equipped amps too. Unfortunately, while the design is very effective with these applications, it’s harder to incorporate with higher powered amps, hence its limited usage in tube amps overall. even if you have an adjustable bias on your amplifier, you can help optimize your amp’s performance by matching your tubes to your amp. This is also necessary with non-adjustable biases where you will have to match your tubes to the amp, rather than trying to do it the other way around. However, tube matching isn’t as simple as we’d like it to be. There are three electrical characteristics that make up a vacuum tube: voltage gain (Mu), transconductance (Gm), and plate resistance (Rp). The way through which these measurements are applied in your tube amp differs from that of pentodes and triodes. While pentodes and triodes both possess characteristics of Gm and Mu, the important part about pentodes is Gm and the important part about Triodes is Mu. These parameters of the dominant characteristics that affect performance in a typical circuit. Are you confused? 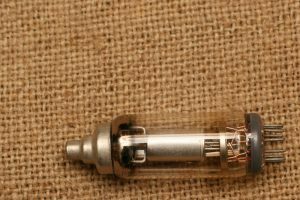 Even if you don’t want to begin delving into the very technical explanations of what defines a tube’s electrical characteristics, it is important that you consider these measurements so that you can choose the right tubes for your amp. Luckily, the process has been very much simplified thanks to some excellent tube matching programs, like the one offered by Mesa Boogie. When a high-quality tube amp is first made, your power tubes will be matched electrically to ensure that each tube used in your amp has the same amount of “idle” plate current. This helps the tubes work together and produce the optimal sound quality and longevity. Without tube matching, you’d run into some problems with both of these aspects. When tubes are matched, they’re also put through additional quality checks in order to reduce the chance of you getting a faulty power tube. If the Gm, Rp, and Mu of a set of tubes are correct and matched up when new, they will stay matched through your tube set’s usable life. With this in mind, the only thing a tech needs to do is measure your amp’s emission in order to check whether or not the tubes are still good. The reason why matching is important is because, even when two tubes should be identical, all tubes vary in the amount of plate current that flows through them–even when given the same plate voltages and control grid. When you adjust the negative control grid voltage in order to achieve the optimal amount of plate current, that’s what we call “setting the bias”. When you set the bias for tubes, you’re trying to find the bias point where the amp sounds its best but the tubes aren’t overheating. It’s the sweet spot for your tubes. If you used a Fender Blues Deluxe as an example, one tube may have an idle plate current of around 25 mA while another has one of 42 mA. The difference in idle plate current is important because, given our example set of tubes, we’ll say that they sound particularly great when they are biased for around 35 mA of plate current. If your tubes are unmatched, there’s no way you can get both tubes biased at this “sweet spot” for your amplifier. The tube with more plate current will be getting hotter and dissipating more power than the other one with less plate current. The tube with more plate current will wear out more quickly, which will lead to a loss of clarity and definition in your amp’s sound sooner. If both of the example tubes have plate voltages around 428V, a tech could calculate the plate dissipation and find that the lower plate current tube dissipates around 10.7 Watts while the other dissipates around 18.0 Watts. That’s a big difference. If the tubes had been matched from the start, they would both dissipate at around the same amount of power. They could then be adjusted for both optimal sound quality and for longevity. This gives you more rich, well-defined tone and more hours spent listening. Finding a matched set of tubes isn’t difficult, and there are actually many sources for after-market matched sets. But, realize the importance of getting a matched set. When your tubes are matched, you’re ensuring higher sound quality and a longer lasting set of tubes. It’s worth finding a set of tubes that have been matched to one another. Of course, the next step is finding a matched set of tubes that also fit your amp’s optimal characteristics. This process can be time-consuming, but it will prove worth it if you can find the perfect tube in the end–or at least get as close as you can. 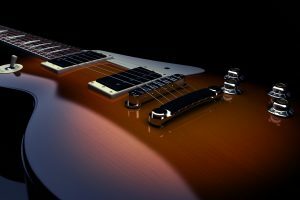 There are plenty of resources online when it comes to finding the tube amp set that’s best matched to your amp. Check your manufacturer’s recommendations and have a look at Apex Matched Tubes, Mesa Boogie Matched Tubes, and other well-known sources. You’ll then be able to sort your options based on the manufacturer’s suggest characteristics. With the right information, narrowing down your options shouldn’t be too difficult, just make sure you put the time into getting the right information so you don’t waste your money on a set of tubes that aren’t going to get you the optimal performance from your amplifier. When it comes to having them installed and biased, remember: reaching out to a professional is your very best bet! 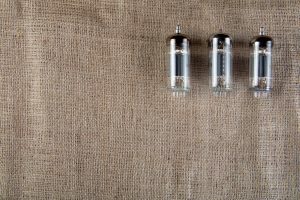 John at thetubestore.com has a great article on the topic of tube matching – check it out here. Tube rolling might very well become a hobby for you if your tube amp is designed to properly operate with a very specific tube, as is the case with non-adjustable fixed biased amps that are employed with a fixed resistor. You’ll have to spend some time looking in order to find a tube set that’s going to bring out your amp’s best sound qualities. Plug-and-play amps do not necessarily need any adjustments since the circuit is considered self-adjusting. This makes tube rolling very easy. Adjustable fixed bias is something you’ll typically want to leave to the experts since they’ll employ a potentiometer. Keep in mind that there are many different types of tube amps, but the general process of biasing a tube amp follows the same steps. Let’s review those steps. First and foremost, make sure your amplifier is loaded and warmed up for a while. This means plugging it into your speaker. Determine your test point and set your multimeter to check the reading multiple times. The tube bias needs to adhere to your manufacturer’s recommendation. If you no longer have a manual for your tube amp to check this recommendation, get online and look up the model number. There should be a copy of the manual available online. Inside the chassis, you’ll find the bias test point and the bias trim pot. They should be labeled. In the absence of a bias point or trimpot, you’ll find the electronic components required inside the chassis. Your multimeter or connection should be grounded and make sure the bias is set to the correct measurement. You can check this by reading and adjusting the trimpot. This will be done repeatedly with the other tubes. There are tools online that can provide you with bias adjustments if you input the tube type and plate voltage. These tools will likely prove very helpful to you. TedWeber.com has such a tool if you’re interested in trying it out. Unlike a diamond, a tube should not be expected to last forever. 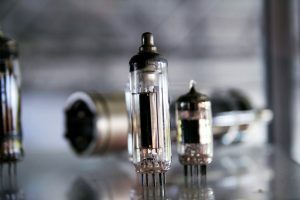 Everything deteriorates over time as you use it, but when it comes to your tube amp, learning how to properly bias it can help you decelerate the deterioration of your amp’s tubes. In the simplest definition, biasing is a technique used to regulate the flow of current being distributed to your amp’s electronic components. It not only makes the tube work properly while prolonging the lifespan of your tubes, it also improves the overall sound quality. While your tube amp may produce a high sound quality, the tubes will degrade overtime as they go into an under-biased state. This means your amp is operating under a high voltage for a long time. Biasing your amp properly can help you remedy this issue. However, caution and safety should always be at the top of your priority list if you are going to be working with a tube amplifier. It’s a job best left up to the experts, but if you are planning on working with one, realize the risk. Tube amps house a large amount of voltage, even when unplugged, and overconfidence can lead to a fatal accident. Biasing mainly focuses on the adjustable fixed bias tube amplifiers and not much on other tube amp bias. 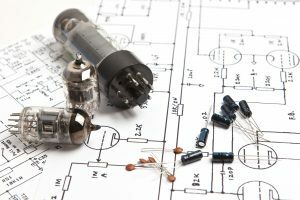 In order to bias your tube amp, you’ll need to identify the test point, set your multimeter, and check your readings repeatedly to ensure it conforms to your manufacturer’s recommendations. There are different types of tube amps out there, so the specific instructions may vary for your amp. Heed the advice of experts and follow all safety precautions. Do your research on the amplifier and its tubes, read the owner’s manual, and know what you are working with before you get in there. It is not something you should toy around with without the right tools and knowledge, because it can be dangerous. Most of all, have fun learning about your amplifier and have fun enjoying pristine sound quality! With this newfound knowledge you can keep your amplifier running for years to come. Funny thing, I have always understood that under-biasing a tube was better than over-biasing but knowing both can cause different kinds of damages makes a lot more sense. I am relatively new with my set up so this was fantastic for my learning experiences. I think a lot of people learning about amps online are often given the wrong or mixed information and I can tell you know what you are talking about.